Hong Kong, best known for its most entertaining attraction Disneyland, experience huge number of tourists each year. 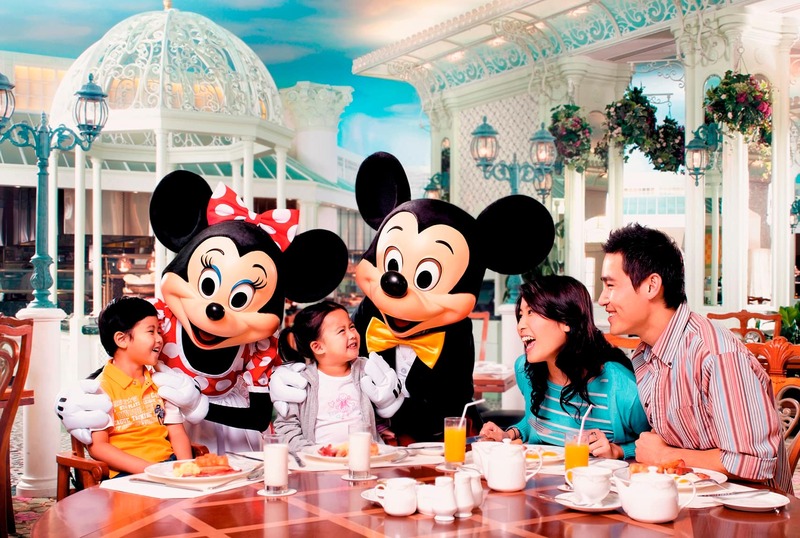 People of almost all ages knows about Disneyland and so is the case with Hong Kong. But apart from Disneyland, there are many other places which you must explore while visiting Hong Kong. Kowloon, one of the most beautiful city of Hong Kong is a must visit destination. Best known for its shopping centers, dining and entertainment center, this place has got lot to offer to its tourists. Further, Kowloon is also known for five-starer luxury hotels providing best in class services. Hotels.com, is one-stop spot for you to explore various hotels and get their complete information. 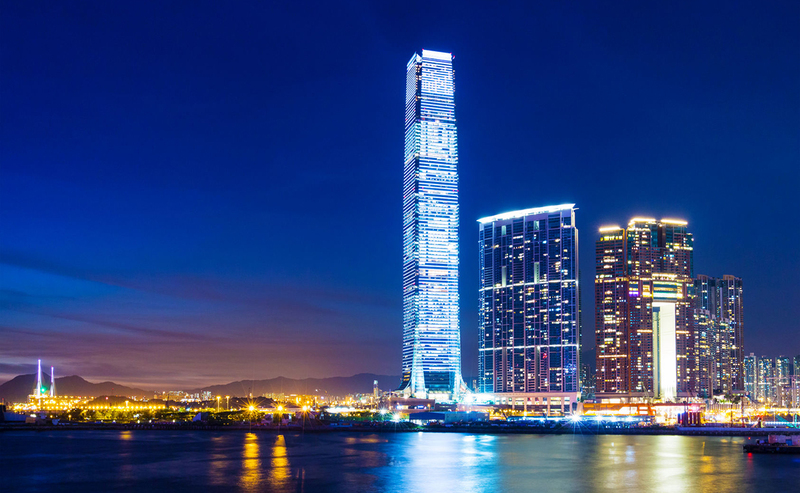 Lets take a look at some of the luxury hotels in Kowloon, Hong Kong. Situated in the most bustling area of Kowloon, i.e. Kimberley which holds lot of shops and restaurants, Empire Hotel is famed for its best in class amenities, aesthetic architecture and luxury rooms. There are almost 343 rooms in this hotel, categorized into Superior, City view, Lifestyle Room, Empire Executive-Studio Suite, Empire One-Bedroom Suite and Empire Club. You can choose your choice of room depending on your budget and preference. Empires Kitchen is a restaurant which provides you delicious variety of local as well as international cuisines. Further, if you want to spend some quality time with some refreshing drinks then Zinos bar & lounge is a perfect place to hang out. Fully-equipped fitness center and spa offering rejuvenating massages will in make your stay in this hotel more relaxing. Located in the close proximity of various leisure spots and shopping centers of Tsim Sha Tsui, The Royal Pacific Hotel Towers offers magnificent views from its each room. The hotel consist a total of 673 spacious suites and rooms of different categories namely, Pacific deluxe room, harbor view deluxe room, Towers-harbor suite, Royal suite, Family selections and Pacific suite. To enjoy some Malaysian and Singaporean delicacies, you must visit Satay Inn restaurant. Further, for some quality leisure time guests must visit its in-house bar restaurant Pierside. Yet another famous hotel of Kowloon, Hong Kong, Gateway can make your trip more memorable. 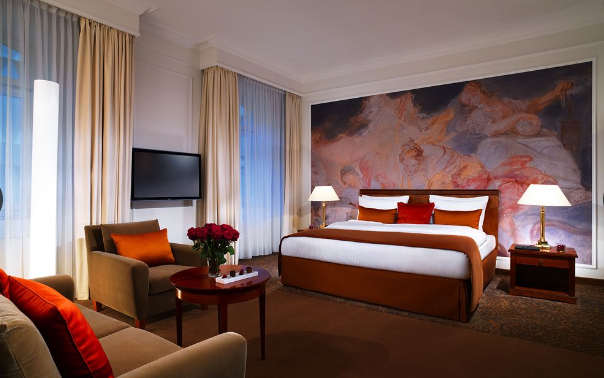 With its 397 beautifully designed rooms with modern decor, this hotel has got lot to offer to its guest. For some sumptuous delicacies and relishing drinks, you must visit its in-house bar and restaurant, Three on Canton. If you want to taste some Indian food, then Branto situated at a kilometer away from this top-rated, luxury hotel. For some shopping, nightlife and entertainment, you can visit Harbor City and Temple Street Night Market located in the close proximity of this place. Well-connected to top tourist attractions in Tsim Sha Tsui area, The Kimberley Hotel is yet another luxury hotel known for its spectacular modern architecture. There are about 546 lavishly designed suites and guestrooms equipped with all required facilities such as high speed internet, mini bar, sofa bed and so on. 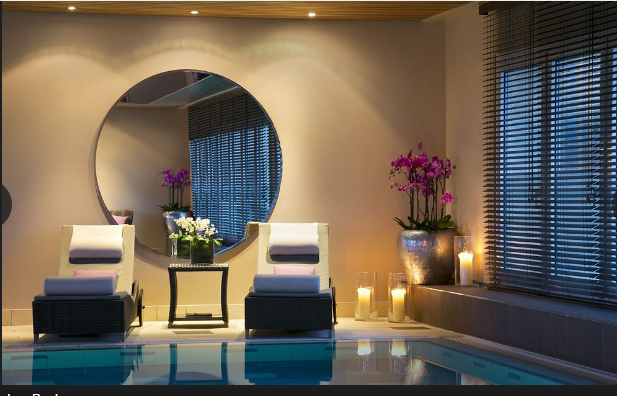 In-house gymnasium and spa are meant to make your stay more stress-free. You can also relish your taste buds with some exotics food offered in its in-house Chinese restaurant. Collectoffers.com offers Hotels.com voucher codes to make your hotel booking hassle-free. Explore The Most Amazing Attractions Of Hong Kong! Seeking for some fun and exciting holidays? Then plan a trip to Hong Kong to make it more entertaining and adventurous. Hong Kong, a former British colony has become one of the greatest and coolest tourist destination of the world. You will get the glimpse of rich chines culture over here. Hong Kong is the hub of many famous tourist spots offering mesmerizing and unforgettable moments. Before leaving for your destination make sure you book your hotels beforehand and Hotels.com is an ideal destination for you to book your hotels at unmatched rates. Considered as the lifeline of Hong Kong, Victoria Harbor is the most lively attraction offering its tourists spectacular views. The place is known for its striking and coastline and numerous container vessels which presents a beautiful view. 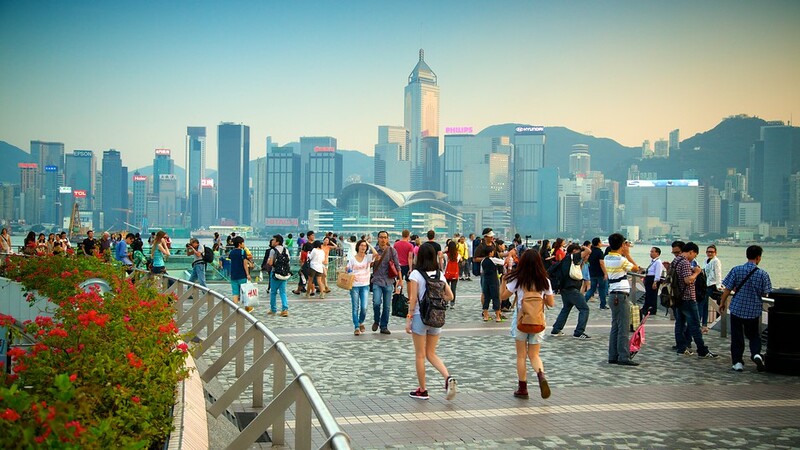 Victoria Harbor is a natural dock located between the Kowloon Peninsula and Hong Kong Island. If you are visiting this place then do not forget to go for a leisurely harbor cruise tour of Chinese style to enjoy fantastic contrasting views of Chaotic Kowloon and Hong Kong Island. Ocean Park is a family theme park known for its exciting and thrilling rides and animal exhibits and shows. The place is secured 7th position in among the most famous marine-theme parks in the world, where you can interact with the King Penguins, explore South and North Pole and visit a grand aquarium named Aqua City. Ocean Park is the home grown tourist attraction including Marine land, Asian animal such as red panda, giant pandas, Asian otters, etc., cable cars and world-class, excellent facilities like Polar adventure and Thrill Mountain. Dolphin Encounter Program over here is the best as you will get to step into water & play with Dolphins. Victoria Peak is one of most visited tourist spot popular for its spellbinding, panoramic views of finest harbors and rugged countryside. Looking down to the city from this peak gives you immense pleasure. Whatever talks you came across about Hong Kong’s energy and restlessness is vividly re-affirmed by the mesmerizing views from here. Often known as The Peak, Victoria Peak is the highest point in Hong Kong located at an altitudes of approx 552 m. To reach this amazing place you need to take a 120 years old funicular railway named as Peak Tram. From this peak you will get to look varicolored brilliance of city the lights. One of the largest island of Hong Kong, Lantua Island has got lot to offer to its tourist. One of the major attraction of this island is Disneyland, popular entertainment park for everyone. Further, if you are seeking for a relaxed holiday, then do visit Lantua Island’s other attractions like Ngong Ping Piazza, Wisdom Path and Po Lin Monastery. For some spectacular, breathtaking views you can go on for a 25-minutes to and from cable-car ride between Ngong Ping Village and Tung Chung. Every cable car has a glass-bottom which gives you scenic view of lush green mountains and clear beautiful blue sea. For a hassle-free hotel booking, simply grab hotels.com voucher codes from collectoffers.com. Must-Go: 5 Romantic Getaways To Revive Your Relationship! In any relationship, love is to remain forever, but still, we after a span of time start missing the passion which our relationship once had. It’s not because the essence of love has vanished away but because we’ve stop taking out time for our beloved. So, if you are also observing the absence of some passion in your relationship then it’s the perfect time to take a romantic break with your partner. We know that planning a sudden holiday trip is not an easy job but hang on, who is asking you to struggle alone?When online travel agencies Expedia, Hotels.com, HotelsCombined are offering you hassle-free booking facilities and affordable holiday packages. Visit any exotic location of the world in any of the continents and enjoy effortless online booking facilities of the renowned online agencies working 24*7. To make your romantic trip a little more pocket-friendly, you may join hands with CollectOffers.com, a perfect place to find out ample of travel discount coupon codes and voucher codes. Let’s take a look at the hotel offers available. Planning a cruise trip in short notice might not be possible but if your wife is an avid lover of sea then you can take her to the Edgewater – A Noble House Hotel in Seattle. If made bookings now via Expedia then you can save up to 26%. Spending some time in Kyoto, the beautiful city of Japan, at the Kyoto Garden Ryokan Yachiyo, could be a great option. The beautiful parks, temples and scenic beauty of the city will definitely make your heart feel happy and contented. On booking now via Expedia you can get a chance to save 25%. 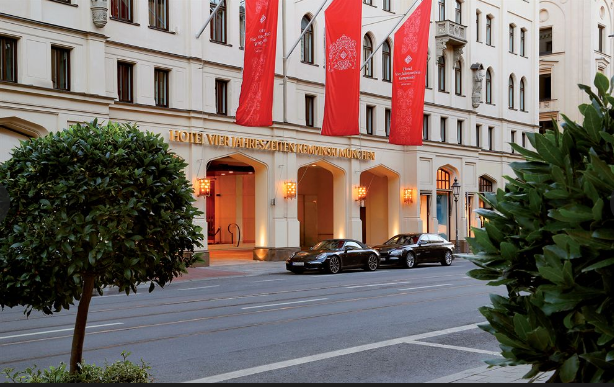 Take your partner to the beautiful city of Germany and make a comfortable stay at Hotel Vier Jahreszeiten Kempinski München. The beautiful architecture and interior of the hotel will surely please your princess. Make your bookings now via Expedia to save up to 30% off. Talk about romance, and Paris is the first place to strike in mind. For many, it’s a dream destination and if you are one of them book a suite at the Franklin Roosevelt Hotel via Hotels.com to save up to 54% off. The hotel has 48 rooms, bar and lounge, multi-ingual staff and much more. Spoil your love with maximum shopping and partying at one of the most modish and beautiful Island city, Singapore. Reserve a suite at the Grand Copthorne Waterfront Hotel Singapore and experience a comfortable and affordable stay as you can save up to 51 % off if booked it via Hotels Combined. WOW!!! When traveling has become so affordable don’t you feel it’s the ripe time to steal some ‘we-moments’?